The other day, as I was observing my pantry shelf, I realized I had a semi-dusty almost full bottle of red wine vinegar. I hate buying something for one recipe then never using it again, so I searched online for “recipes with red wine vinegar” and almost every recipe was for salad dressing. Now I don’t mind a good red wine vinaigrette, but I was surprised with the lack of variety. From that incident, I decided that vinegar seems to be a bit of an under appreciated pantry staple. Due to that, I’ve decided to dedicate two posts to writing about different types of vinegar and how to use them in your dishes (with no salad dressing recipes in sight). ACV is a very common vinegar. It’s made by crushing and releasing the liquid from apples, then putting the juice through the vinegar fermenting process. It’s a pretty mild type and has a light fruit undertone with a sharp tartness. 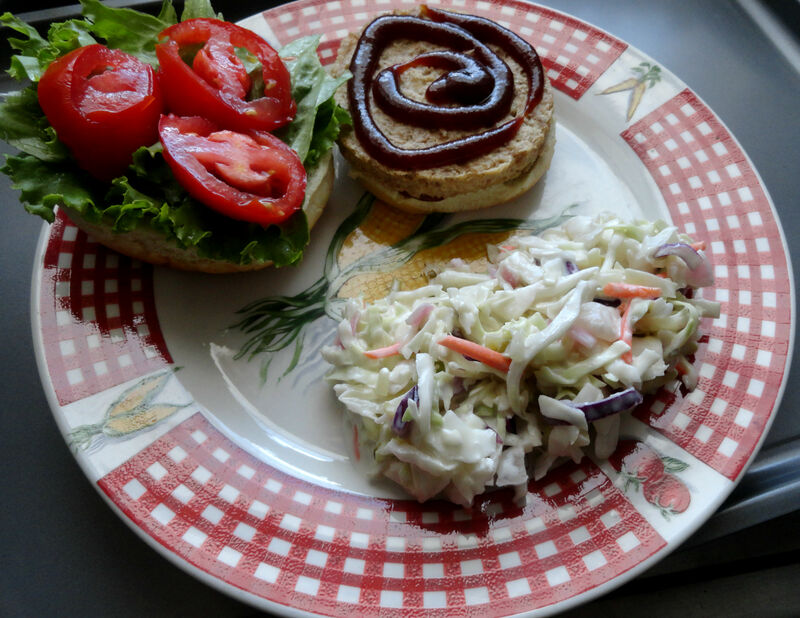 The latest health craze seems to be drinking ACV plain (yuck) or washing your hair with it (I’ll just stick with my Jason’s shampoo, thanks), but this vinegar is still great for eating too, as is shown with the coleslaw below. The recipe was creamy with a hint of sour from the vinegar and relish in it. I served it with a barbecue Boca burger. Equally sweet and sour, this vinegar has the richest flavor of them all. It is commonly drizzled over salads with sweet accents, like fruit. Although the traditionally made BV from Italy is amazing (I’ve only bought a bottle once, but it was worth the money), the commercial made will make due for those who don’t want to splurge on it. But if you’re doing a dish with the vinegar as a main focal point, it might be worthwhile to get the traditional. I didn’t want to do a shameless plug and encourage you to cook my balsamic pasta and beans (recipe here), so I chose some salty and crunchy goodness with kale chips. These chips were super simple and delicious. 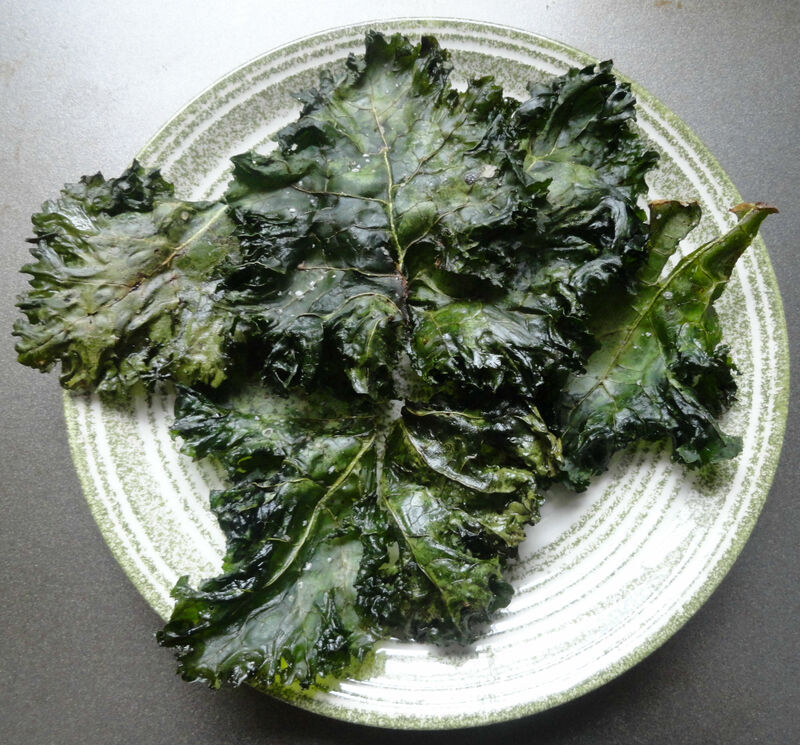 You only need kale, olive oil, balsamic vinegar, and sea salt. I ended up eating these while watching Supernatural in lieu of an unhealthy snack. MV is made by malting barley, then brewing it into ale, which is finally converted into vinegar. It is commonly used in the UK for fish and chips, but it’s also known for being a good pickling vinegar. I’ve never actually pickled anything before, so I thought I’d give it a go! 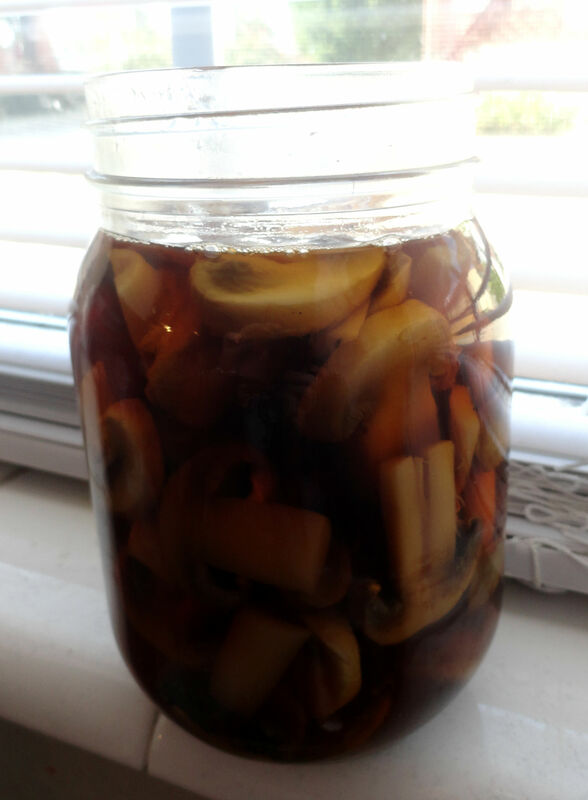 I chose to make pickled mushrooms since shrooms are one of my favorite foods. In the finished product the Malt vinegar has a distinct taste and the slice of onion and garlic in the jar add an extra depth of flavor. I’m going to serve these sprinkled on a salad with a sweet raspberry dressing to balance the vinegar taste.